The global commercial drone industry is expected to maintain rapid development over the next five years, according to the Drone World Congress 2018 – UAV (Unmanned Aerial Vehicle) Industry Development Forum, held in Shenzhen on June 23. It is estimated that by 2022, the overall market value of the industry will reach $15 billion, nearly 12 times the figure in 2016, and the shipments of UAVs will grow six-fold from 2016 to 620,000. Drones have been adopted for both military and civil use around the world, as they can fulfil missions that are impossible when relying on human labor, with their unparalleled capabilities including quick response, real-time image transmission and high efficiency. Aside from mature application in military operations, drones have also become beneficial in civil areas. 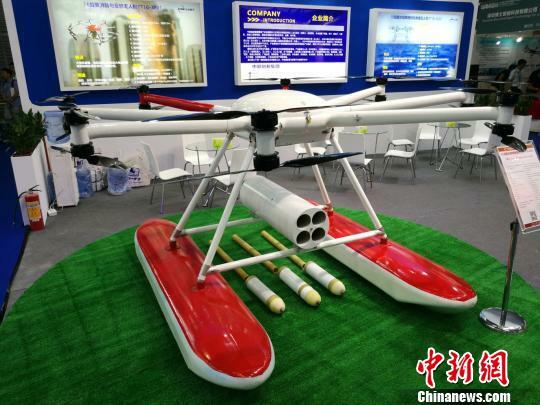 In China, for example, UAVs are being used in areas such as plant protection, power line and petroleum pipe line inspection, weather monitoring, mineral exploration and emergency communication. In addition, drones can also be helpful in hazard assessment, biochemical detection, pollutants sampling and wildlife protection. 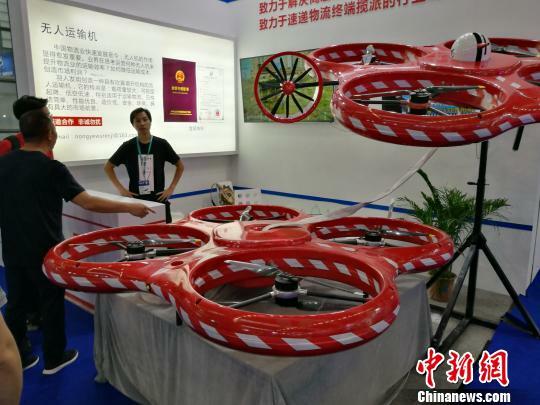 By the end of 2017, 2.9 million civil drones had been manufactured in China, growing 67 percent year-on-year. 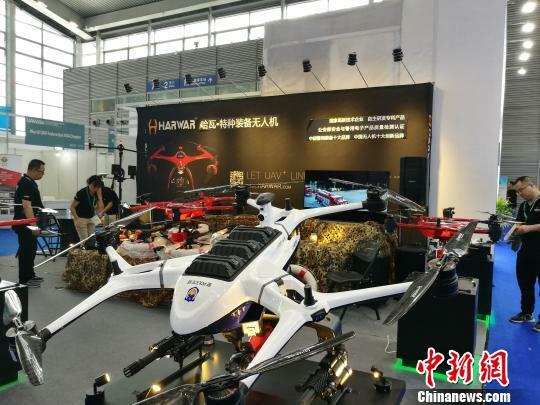 The output value of drones produced in Shenzhen exceeded 30 billion RMB, accounting for 70 percent of the global civil-use UVA market, according to the Shenzhen UAV Industry Association. China is fast becoming a major space power as both its technology and launching frequency of satellites are improving at a rapid rate. China became the world’s fifth country to send a satellite into space in 1970. So far, a total of 400 satellites have been launched and over 200 are currently in service. A large family of satellites has been formed in China, covering the fields of communication, meteorology, navigation and space science. 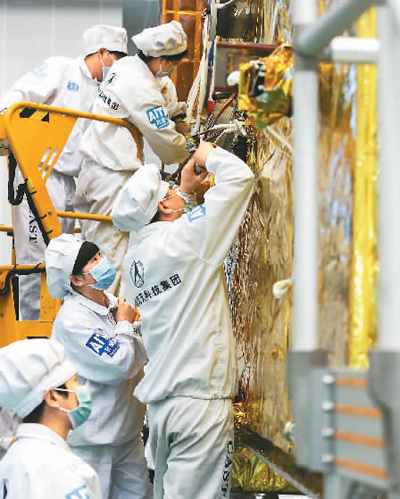 For instance, the BeiDou Navigation Satellite System (BDS) now offers high-accuracy positioning services in the Asia-Pacific region, and 18 Beidou satellites will be launched this year. The Fengyun series, China’s meteorological satellites, currently offer data and services to more than 80 countries and regions, as well as 2,500 domestic clients. In addition, it is also providing free services for Belt and Road countries and members of the Asia-Pacific Space Cooperation Organization. Since 2010, the country has continuously increased its number and frequency of satellite launchings. Around 20 satellites are now being launched by China each year. The Dongfanghong-4 satellite was an important turning point in China’s history of satellite development. While China was constructing this large communication satellite in 1999, a number of workers proposed to buy foreign technologies. However, high-end technologies were not for sale, said Zhou Zhicheng, chief engineer of China Academy of Space Technology, and also the chief designer of the Dongfanghong-4 program. It was the hard work and independent innovation of the Chinese scientists that gained technology independence for China, and the satellite was later exported. Thanks to the satellite, China has successfully entered the international market of commercial communication satellites, and nine of China’s 23 exported satellites were later developed based on the Dongfanghong-4 platform. In the last five years, China has realized comprehensive independent development of civil and military communication satellites, and is leading in success rate of launching worldwide. “China has always adhered to independent development, with a favorable innovation environment of trial, error and failure tolerance,” Zhou said, adding that this is what makes China strong in its space development. China is one of the few countries in the world that has grasped high-end space technologies and built space systems. For instance, the China Academy of Space Technology holds nearly 5,000 patents, and is a global leader in satellite/spaceship recycling, thermal control, attitude and orbit control as well as electric propulsion. The country has initially established a complete satellite communication system which can reach 80 percent of the world. The system guarantees communication for Belt and Road countries. In addition to international cooperation on satellite launching, China has now signed 80 export agreements with 26 countries and regions. Zhou added that China attaches great importance to international exchange and cooperation of space technologies, and training has been conducted in export destinations on a regular basis. It’s been more than four years since the Belt and Road (B&R) initiative was launched, and China has invested heavily in the push for the strategic initiative. Amid the uncertain political outlooks in the US and Europe, B&R-related rail, road and port construction plans are expected to provide economic prosperity in countries and regions along the route. The initiative is significant in geopolitical terms, but it mainly revolves around infrastructure investment as China hopes to build a common market in partnership with other countries. So far it has been moving mostly in the right direction. Looking at the big picture, there have been no apparent gains. And when one examines the details, the large amount of capital China has pumped into various B&R projects has yet to generate the expected benefits. Since the initiative was launched in 2013, the global political and economic climates have shifted dramatically. Since Donald Trump took office as the US president, his “America First” policy has converged with unilateralism to push anti-globalization sentiment to new heights. The emergence of China-US trade disputes and tariff rows between the US and Europe are actually a new skirmish in the battle for global markets. Most observers expect the anti-globalization wave to persist for quite some time. Also, there has been significant headway in dealing with the Korean peninsula nuclear issue. Leaders of the US and North Korea held a direct dialogue in Singapore without the participation of other countries and signed an historic bilateral agreement. If the Korean peninsula situation genuinely eases, it is likely that the peninsula will move toward peaceful development. This will also affect the US’ Indo-Pacific strategy and its show of strength in the region. The situation has also changed in Southeast Asia. For one thing, the opposition party’s stunning win in Malaysia’s general election might have a big impact on China’s efforts over the years to reach out to the country. For another, in China’s southern neighbor Vietnam, there have been anti-Chinese protests. The situation in South Asia is another source of concern. Although China and India have steadied bilateral relations, Pakistan, a pivotal part of the B&R initiative, has been grappling with an economic deterioration that may lead to a currency crisis. This situation will likely affect the implementation of the initiative. Taken together, these developments show that there have been drastic changes to the international environment surrounding China’s B&R push. It seems that the country will face geopolitical, economic and financial pressure as it simultaneously presses ahead with both prongs of the initiative – the Silk Road Economic Belt and the 21st Century Maritime Silk Road. For instance, if anxieties about the Korean peninsula are defused, the US – which already regards China as its top strategic rival – will put more pressure on China and focus more on its Indo-Pacific strategy. That in turn will contain the 21st Century Maritime Silk Road. China’s external policy is at an inflection point, requiring a total rethink and even some internal criticism. At the least, the B&R policy needs a new focus or a redesign of some of the nation’s goals in light of the changing situation. Otherwise, China may find itself at a dead end. Reformulating a country’s external policy is a complex, systemic process for which there’s no “miracle cure.” Only a comprehensive evaluation of the situation can identify key problems and lead to a breakthrough. 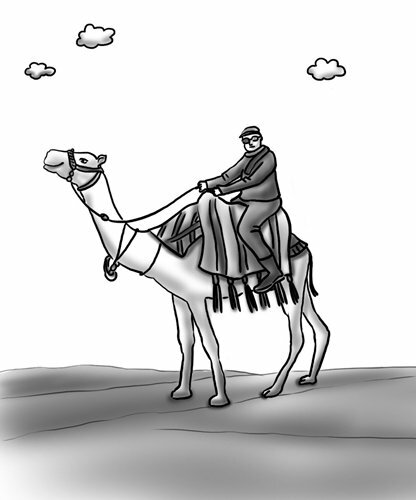 China should concentrate its resources on the Silk Road Economic Belt, rather than advancing the two prongs of the initiative at the same time. Equally important, China must continue its reform and opening-up. As China’s economy – already the world’s second-largest – develops, the West is increasingly taking a jaundiced view of China’s rise. For example, there are complaints that China’s WTO entry hasn’t guided the country toward the development path the West had expected. But China’s continued reform and opening-up efforts will serve to allay concerns among Western countries over China’s development path. Chinese online travel agency Ctrip said that the 2018 World Cup, which runs from June 14 to July 15, will attract more than 100,000 Chinese tourists who are expected to generate 3 billion yuan in revenue during their time in Russia. According to a person in charge of Ctrip’s outbound travel market, about 20 direct flights are currently running from China to Russia every day, with an estimated 4,000 Chinese tourists arriving in Russia on an average day. According to statistics, during the 2018 World Cup so far, more than 5,000 Chinese have bought tourism products via Ctrip alone. That number is more than ten times that of the 2014 Brazil World Cup. According to an opinion poll by an appraisal agency with FIFA, 87 percent of Chinese respondents expressed their eagerness to watch the World Cup, more than the number of Russian, Brazilian, Italian and US citizens. Easy visa policy has made traveling more convenient. China is Russia’s largest source of tourism, while Russia offers a relaxed tourist visa policy to Chinese citizens. In recent years, Russia has granted visa-free entry to Chinese tour groups and Russia’s Far East has started to issue electronic visas to Chinese tourists. During the event, tourists with World Cup tickets will also get visa-free entry in to Russia. More China-Russia flights were added this year to keep up with demand. Chinese cities including Xi’an, Nanchang, Guiyang and Fuzhou have added direct flights to Moscow and St Petersburg. In addition, the rising exchange rate of the yuan against Russia’s ruble has made shopping in Russia a good choice for Chinese visitors. This year, Ctrip displayed 600 Russian travel itineraries on its website. Other domestic and foreign travel agencies have also developed new products to attract potential tourists. Prices of hotel rooms and other facilities are also rising significantly. 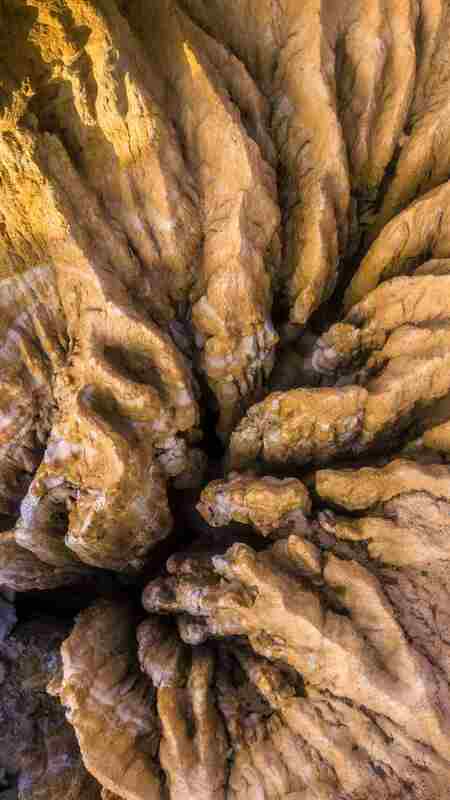 From mid-June to mid-July, group tours and independent tours are sold at an average price of 14,000 yuan, double the normal price. It’s estimated that a 9-day group tour which is sold at around 13,000 yuan in July will be priced at 7,000 yuan in September and October, so many tourists are choosing to go to Russia after the World Cup ends. According to the Ctrip report, Shanghai, Beijing, Chengdu, Chongqing and Xi’an are cities seeing the largest number of outbound tourism, and people in Guangdong, Hebei, Fujian and Beijing are spending the most during the World Cup. Ten Russian cities, including Moscow, St Petersburg, Sochi, Vladivostok and Irkutsk, are the hottest destinations because 8 of the ten will hold football matches during the World Cup. Russian tour guides are also in high demand. Chinese visitors expect to learn about Russian culture and history but also want to communicate with local people. Residents of Heilin Village Lin Zhifu (R) and Zhou Hong make straw checkerboard sand barriers in the Tengger Desert in the Shapotou District of Zhongwei City, northwest China’s Ningxia Hui Autonomous Region, June 11, 2018. Each day, hectares of moving sand dunes are tightly grasped by straw checkerboard sand barriers in the Tengger Desert in the Shapotou District of Zhongwei City, northwest China’s Ningxia Hui Autonomous Region. The women who work here lay the barriers equally over the sand while men use shovels to dig holes into the ground and fill them with straw. Each straw pile stands 10 centimeters below ground and 30 centimeters aboveground. 50-year-old Zheng Zihua and his fellow villagers have been doing this job since the 1950s, keeping this unique technique of fighting desertification alive for decades. While working, women wear face masks and hats to shield their faces from the hot sun. The workers’ resting place is very simple: a makeshift tent supported by four wooden pillars with a bed sheet and several sand bags. 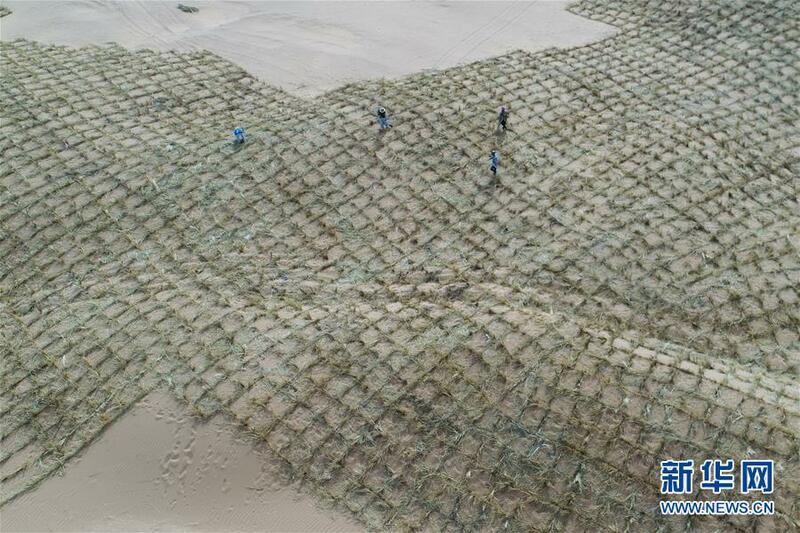 More than 200 farmers are involved in making these straw checkerboard sand barriers, which gives them an annual income of 60,000 to 70,000 yuan, according to Fang Wensheng, Party secretary of Heilin Village. They have so far created 360,000 mu, or 24,000 hectares, of sand barriers since a program to combat desertification was launched in 2013. The current number is very close to the overall target of 420,000 mu. As the grass barriers gradually fade out, new plants grow, bringing life to the area. Shapotou, its name deriving from the high sand dunes all around, is located on the southern edge of the Tengger Desert. For half a century, Shapotou has been known as a hub for curbing desertification by making straw checkerboard sand barriers on a large scale. The straw checkerboard sand barriers were originally created for building the desert section of the Baotou-Lanzhou Railway, and the technique was unprecedented back then. In 1955, the Chinese Academy of Sciences established China’s first comprehensive observation station in Shapotou; and then the following year, the country’s first specialized sand-break forest was launched. After numerous failures and explorations, straw checkerboard sand barriers were adopted as the main method to deal with moving sand when the railway opened. The method was applauded by experts from both home and abroad at the United Nations Conference on Desertification (UNCOD) in Nairobi in 1977. Since then, foreign experts and personnel came one after another to Shapotou to learn the unique method. 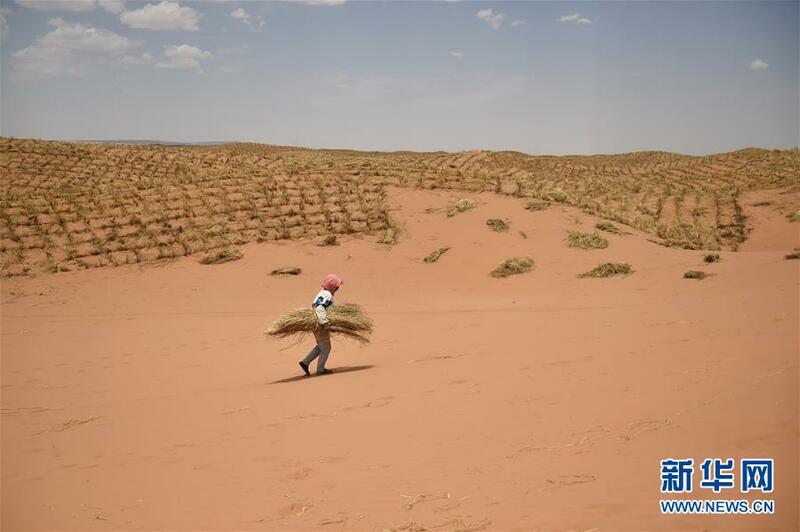 Zhang Zhishan, deputy chief of the Shapotou research center, said experience has indicated that the straw checkerboard sand barrier method is so far the most convenient, eco-friendly and cost-effective way to fight desertification. 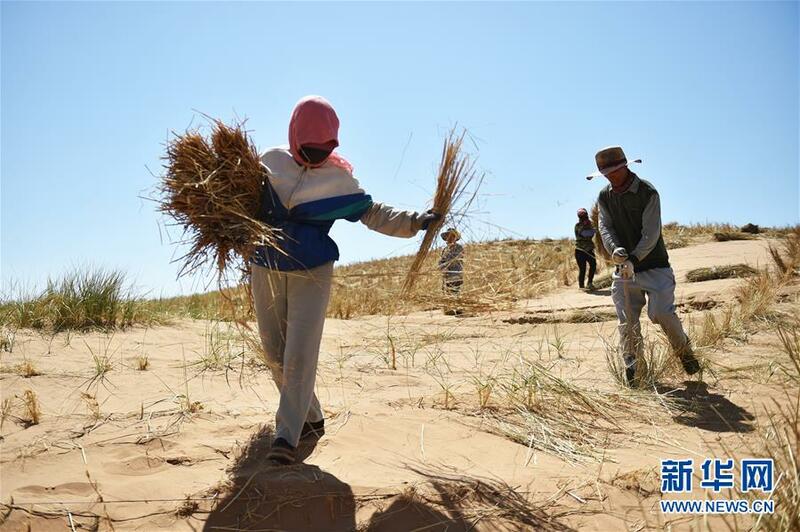 The research center has also found that it’s feasible to recover the ecology in the desert area of northern China through planting manmade vegetation. Now, 155,000 mu of straw checkerboard sand barriers have been created, 145,000 mu of shrubbery has grown and a 60 meter belt for wind prevention and sand fixation has been established in Shapotou. But there is still a long road ahead. 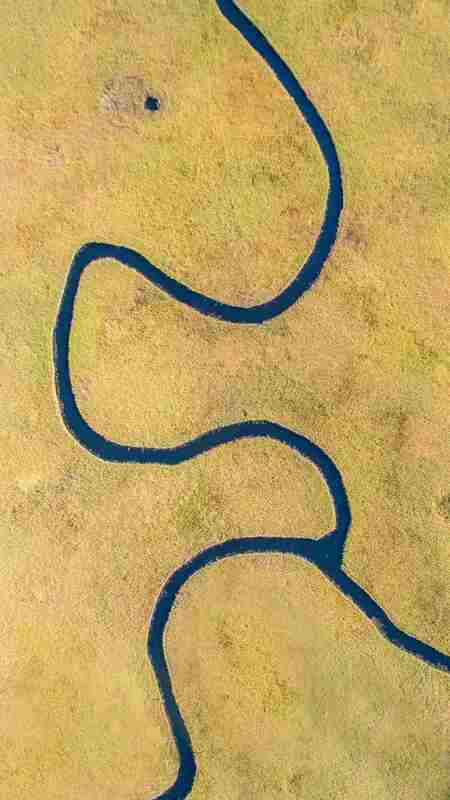 According to statistics, China has 2.61 million sq km of desert, occupying 27.2 percent of the country’s landmass. 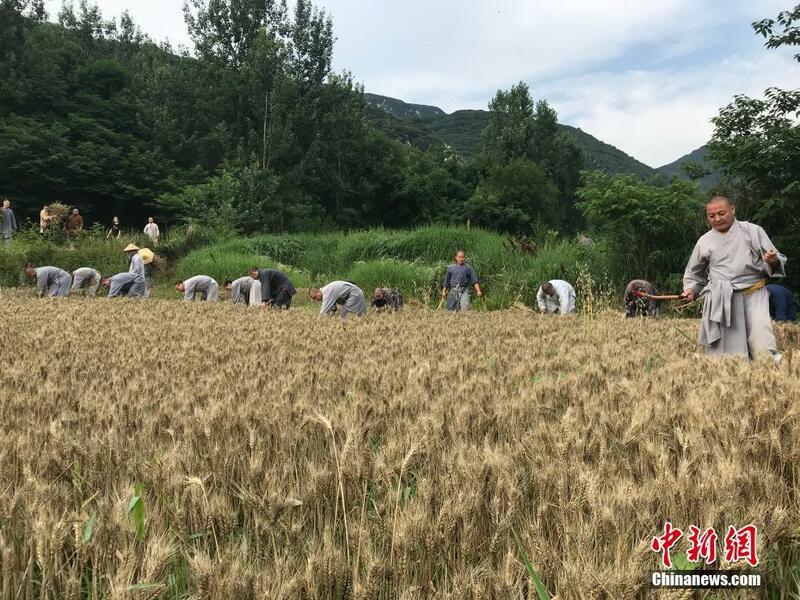 The country looks to effectively tame 50 percent of its deserted land by 2020, according to a guideline on pushing forward ecological civilization construction issued in 2015. 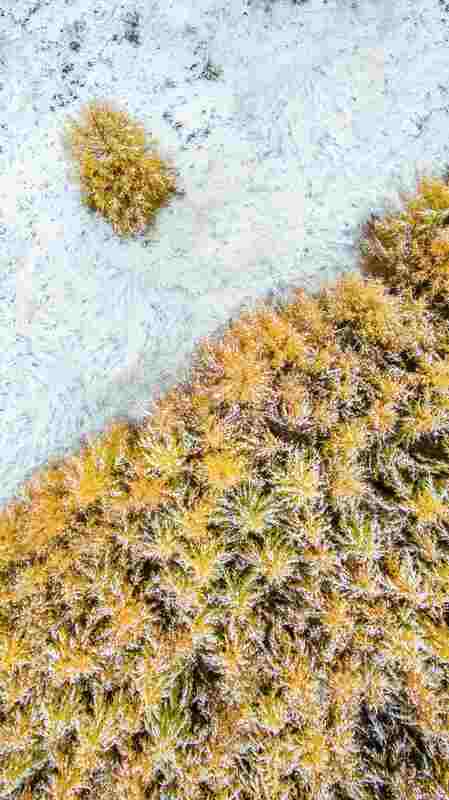 Scientists are now working on targeted desertification control, such as studying the desert water balance and ecological hydrology in Shapotou, which they think is key to curbing desertification. 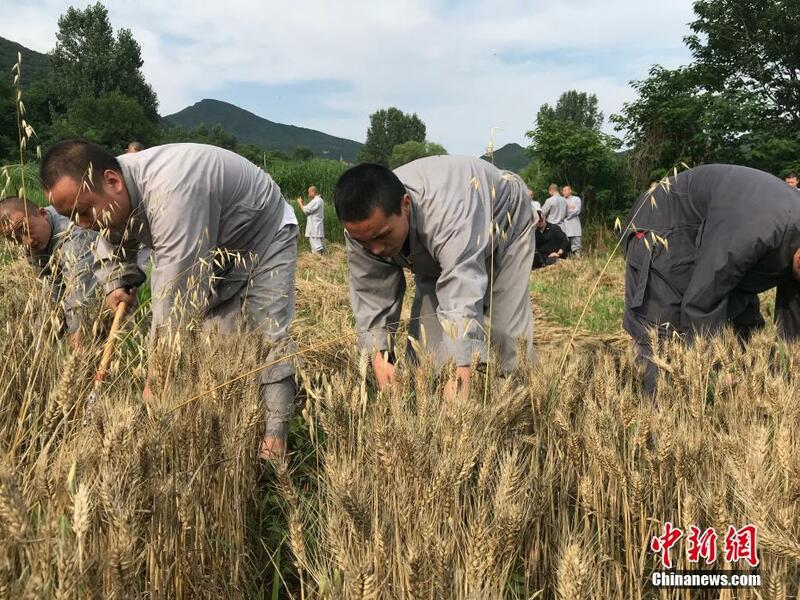 June is the time for monks of the Shaolin Temple, a Buddhist temple in central China’s Henan province, to harvest wheat. 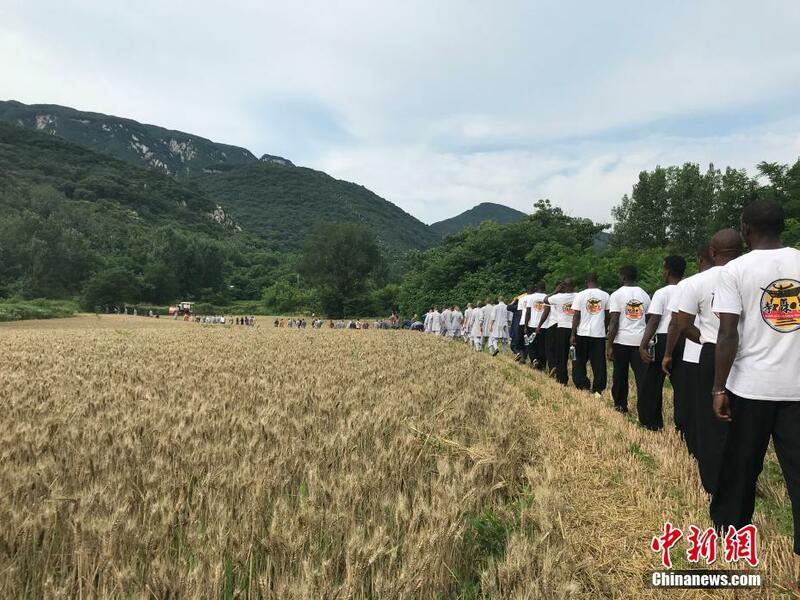 Besides the monks, several apprentices from Africa also participated in this year’s harvest. They are students of the sixth Shaolin Kungfu Class which is jointly held by the temple and the Ministry of Culture. The class is expected to enhance cultural exchange between China and Africa. The combination of spiritual cultivation and farming is a tradition of the temple, as the monks believe farming can help them pursue the experience of Zen. 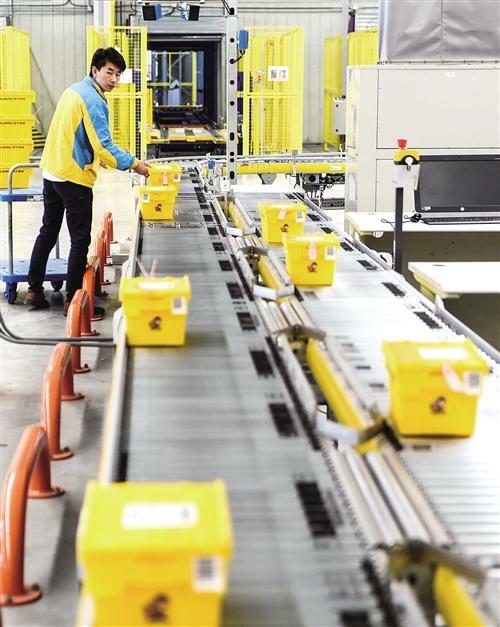 A worker places shared parcel boxes on the conveyor belt in a logistic base in Jiangsu province. Parcel packaging pollution has recently become an environmental threat as the daily lives of citizens are increasingly facilitated by the growing express delivery industry. Statistics show that less than 20 percent of general packaging used on express delivery parcels in China had been recycled in 2017, and the figure for cardboard and plastic package recycling was even lower at 10 percent. A total of 40 billion parcels were delivered across the country in the last year, and all the tape used to seal these parcels would be able to reach around the globe 425 times. In Chinese mega cities, the newly produced parcel packaging garbage accounted for 93 percent of total household garbage, while the figure stood at 85 to 90 percent across major cities. Ma Shengjun, head of China’s State Post Bureau, said that the country will guide more enterprises with a “green delivery” campaign and promote the use of degradable packaging. In addition, material management and advanced packaging technologies will be enhanced to further lower material consumption. E-commerce giant Alibaba’s chairman Jack Ma once said on Chinese micro-blogging website Weibo that speed is what keeps the industry running, but greenness is what keeps it winning. Alibaba has set a goal that its e-commerce platform Tmall will go green with all of its packaging before 2020. JD, Alibaba’s rival company, predicted that by 2020, the use of single-use cardboard packaging will have decreased by 10 billion pieces, and 80% of the packaging material will be recyclable at the supply end. However, the change of packaging materials is only part of the environmentally-friendly delivery. Major e-commerce platforms and logistics enterprises still have to optimize their production and data analysis to seek new paths. “Big data can be applied to delivery routes planning, thus reducing fuel consumption and promoting environmental protection,” said Wan Lin, the president of Alibaba’s logistics platform, Cainiao Network Technology Co. In addition, establishing an incentive mechanism that encourages consumers to make greener decisions will also further balance the contradiction between the high costs of green delivery and its low profit. China might soon have its third aircraft carrier, said military expert Song Zhongping, after a picture showing three aircraft carriers was made public in a news piece by China Shipbuilding Industry Corporation (CSIC) on Wednesday. Song told Global Times that the three aircraft carriers shown could be China’s original aircraft carrier Liaoning, with the first domestically-developed aircraft carrier alongside a new one with electromagnetic aircraft launch systems. The picture shows that one of the carriers is equipped with three electromagnetic aircraft launch systems, which suggests high speed launch capabilities, high frequency take-offs and quick responses. A giant “island”, or command center on the deck explains that the warship is a conventionally-powered carrier rather than a nuclear-powered one. However, Song added that according to the “unwritten rules” of the People’s Liberation Army, a nuclear-powered carrier is probably already under development since the warship with electromagnetic launch catapults has now been exposed. 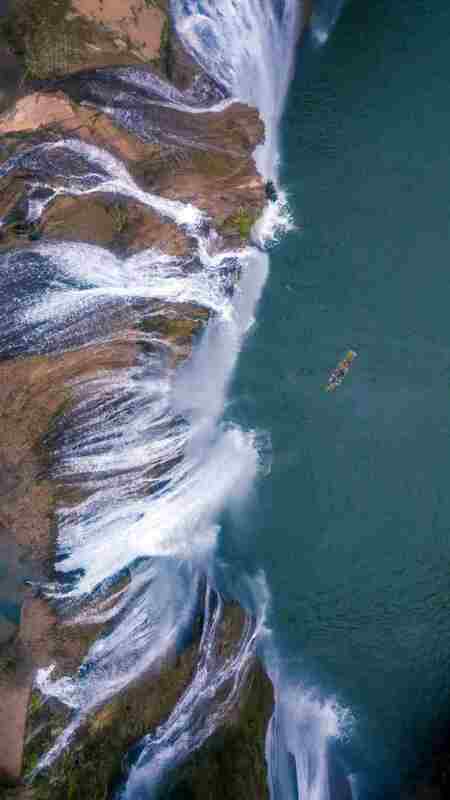 A Chinese man has gone viral on social media for his stunning aerial photos of magnificent Chinese landscapes. Lv Fengxiao spent his time off over the last two years traveling across China, and every photo he has posted online is breath-taking. At a very young age, Lv began to wonder what China was really like. After graduating from college, he became a landscape designer. Though he consistently worked overtime, his childhood curiosity never died. 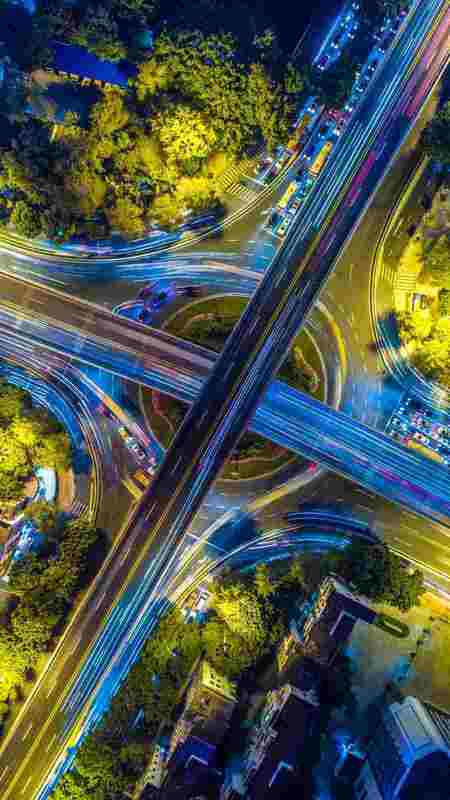 When the aerial photo craze hit China in 2016, Lv came up with an innovative idea: why not look at China from another perspective? From that moment on, there was no stopping him. Over the following two years, he left his footprints all over the country, from mountains to glaciers, modern cities to remote villages, taking more than 400,000 photos. While on the road, he has been mistakenly arrested by the police as a suspected spy, and has even been trapped on an isolated island due to the rising tide. But he said it was all worth it when he saw the magnificent pictures he took. In order to pay for his trips, Lv spent all of his savings. Originally, his family did not understand his decision. However, after seeing the photos they finally showed support. “Spending money taking these beautiful images is always better than spending the money on bad habits,” Lv said. 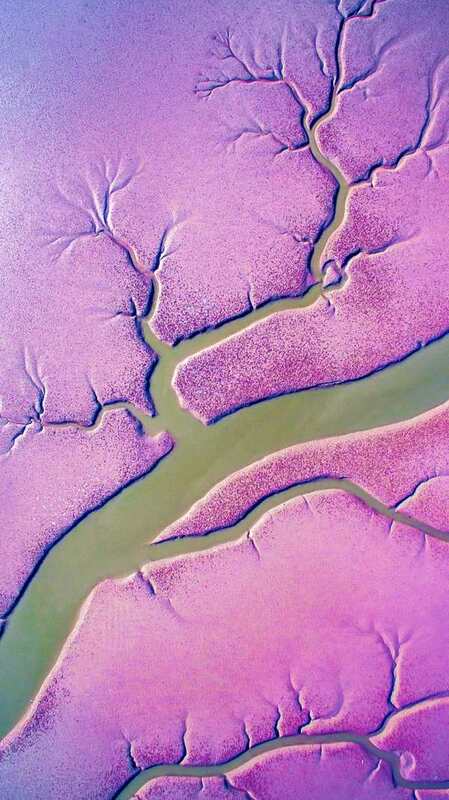 The part-time photographer is currently planning another trip to shoot aerial videos, in a bid to introduce the broad and majestic Chinese landscape to more people. 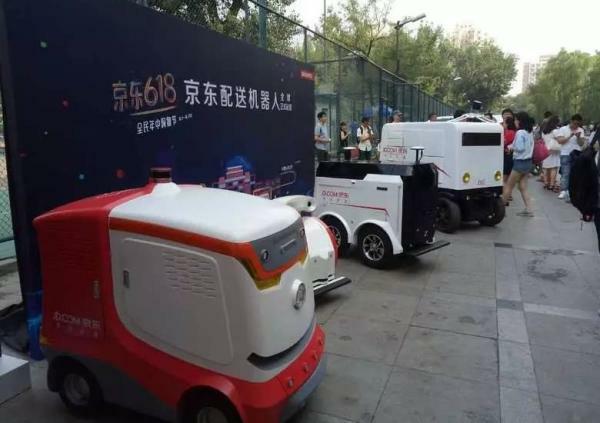 China’s e-commerce giant JD officially started robot deliveries in Haidian District, Beijing on June 18, ThePaper.cn reported. The robots can run at up to 15 kilometers per hour, thus covering a wide service area. The operator of the robots told ThePaper.cn that even though it’s hard for these machines to work every day due to the workload differences and maintenance requirements, they will be running on a regular basis. The robots can automatically park at their delivery address, and are even able to avoid barriers and wait for traffic signals. Users can get their orders by using the robot’s facial recognition feature, scanning the QR code or using the link in JD’s mobile app. The robots have largely reduced the number of working staff and improved operation efficiency.